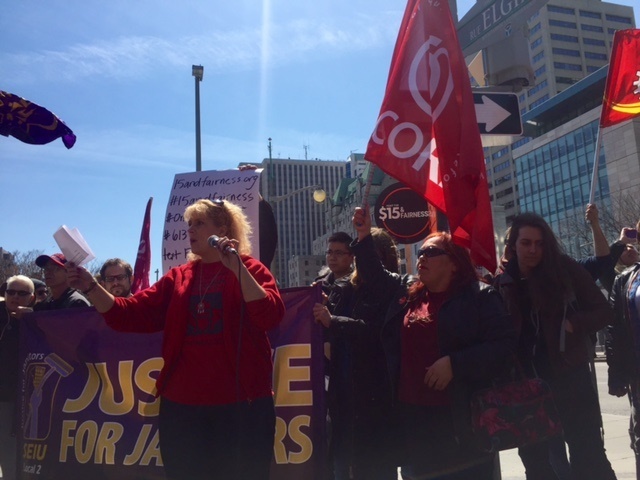 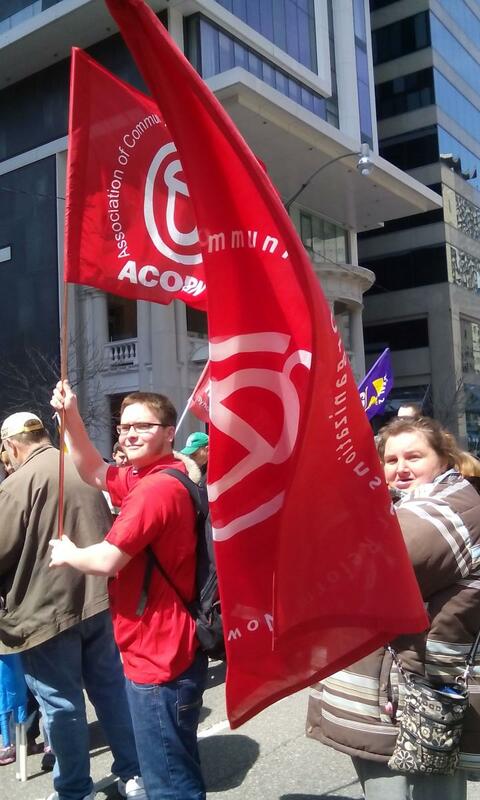 In Toronto, ACORN leaders joined allies at a rally downtown in front of the Ministry of Labour, and in Ottawa member Amber Slegtenhorst spoke to the crowd, before Ottawa and Gatineau members marched with many groups - including union allies, students, and workers - across the MacKenzie King Bridge to participate in the banner drop. 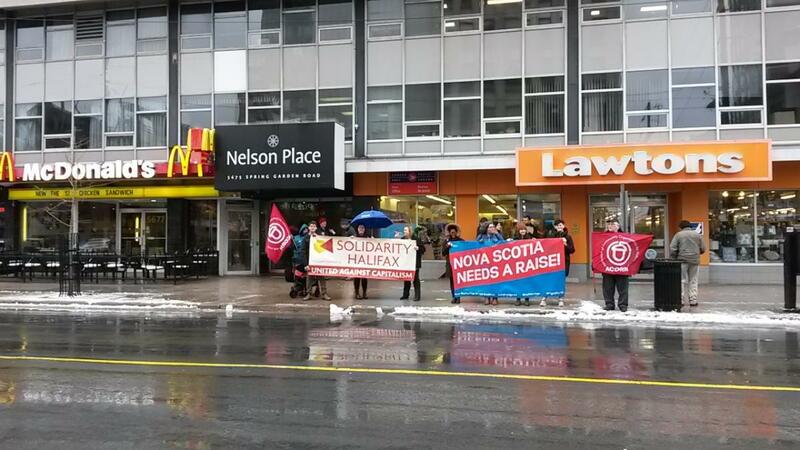 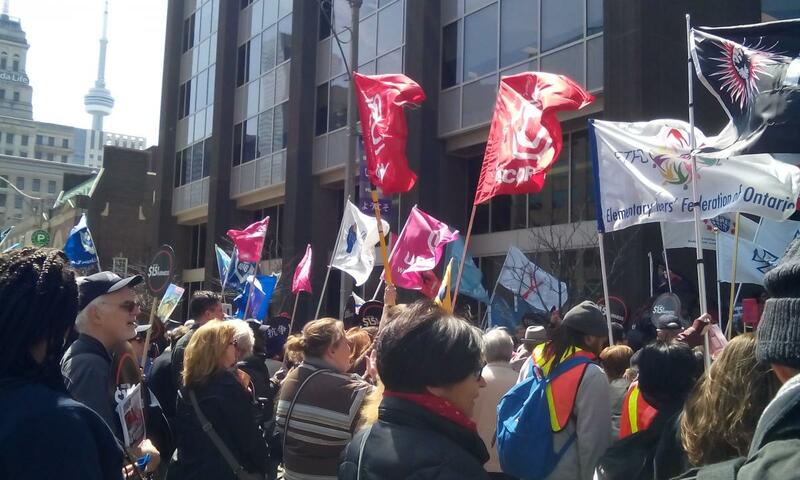 In Halifax, members rallied in front of the McDonald’s on Spring Garden Road, along with labour and student union allies. 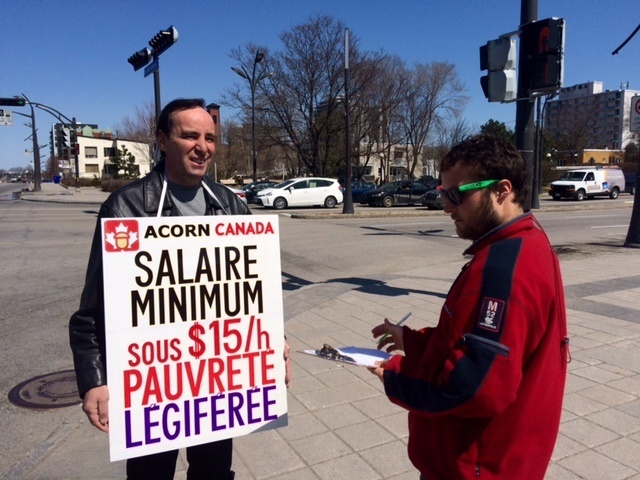 Members in Montreal delivered a letter to Outremont MNA Helene David, and then petitioned on Fight for $15 at a local metro stop. 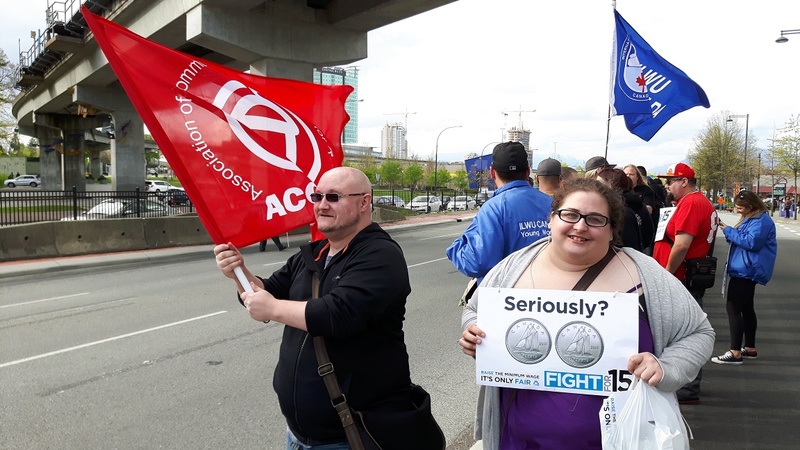 The campaign for a $15 minimum wage continues to grow as more groups join the fight. 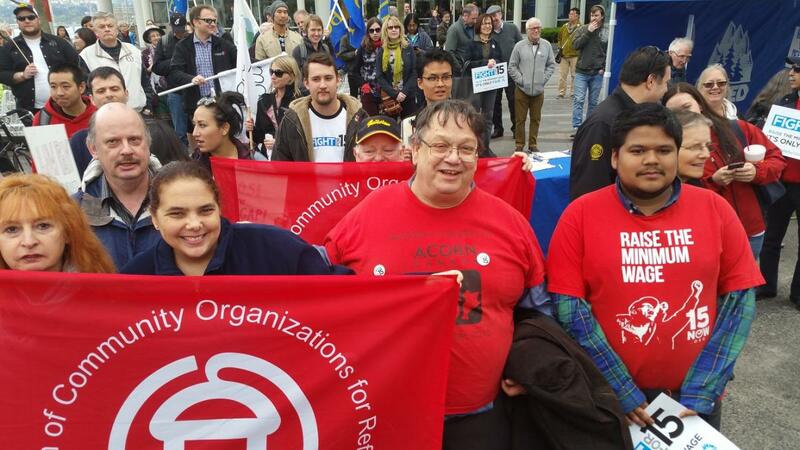 ACORN members know that working people deserve a living wage!